Easter and Eggs, classic. Easter and Felt Fried Eggs, much more our style. Super easy to make – it really is as easy as it looks! 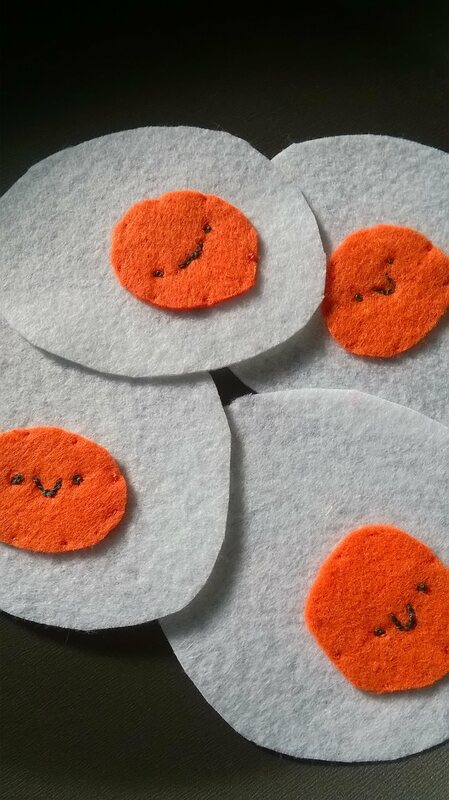 You will need: one circle of white felt, one smaller circle of orange felt – you want your felt fried egg to be organic, right? orange and black embroidery thread a needle. Join your white and orange felt circles with an orange thread in as small a stitch as you can manage. 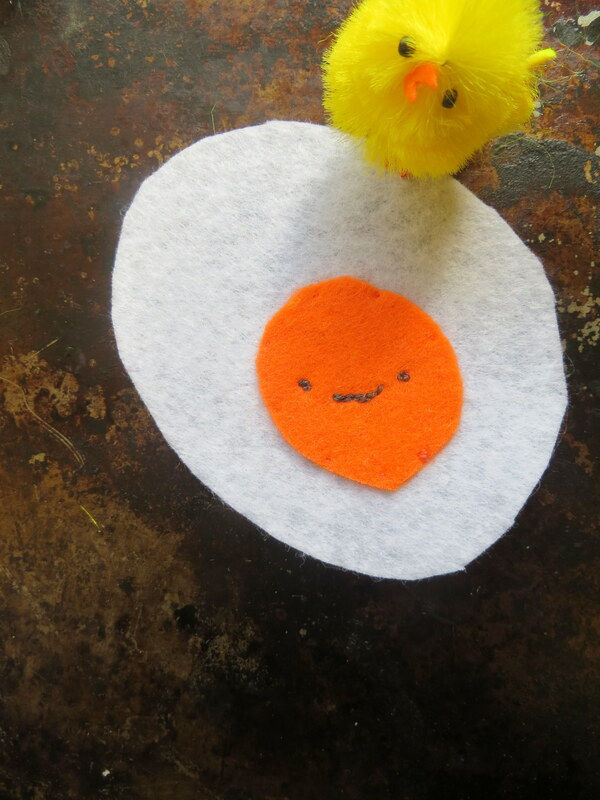 Then the fun starts, give that egg a face. This is were Eims came in. She’s a newly minted cross stitcher. She taught me how to do a knotless loop stitch. Yeah, it sounded hard to me too, but to make a thicker than thread face, embroidery thread secrets were required. Basically it means you don’t have to tie a knot in the end of your thread thereby avoiding unsightly and embarrassing behind the scenes threads.